I spotted this sign at a cross-country ski center in McCall, Idaho yesterday. 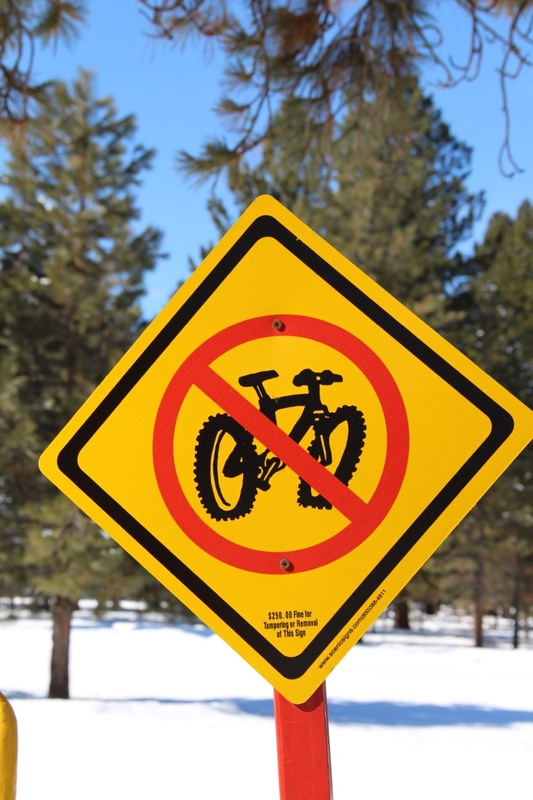 Snowbikes and cross-country skiers are trying to to co-exist on groomed trails. I imagine they may repeat the path travelled by snowboarders and alpine skiers in the 90’s where snowboards were banned at many of the most popular ski areas until the sport started to cross-over to existing pass holders. The early adopters work relentlessly to find a few unrestricted corners where they can practice their craft before it becomes accepted. The “no bike” sign is easy way to maintain status quo. However most cross-country ski centers struggle to serve a small tribe of dedicated skiers, snowbikes may offer an innovative way to build a passionate following and rejuvenate.